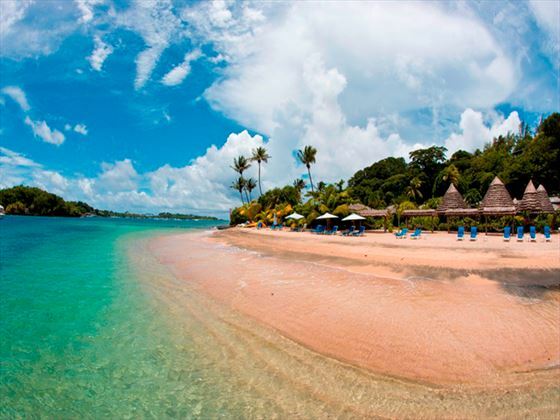 Located on an unspoilt island of the same name, Young Island offers a true castaway feeling, despite it only being a five-minute boat ride from St Vincent's mainland. Private and naturally beautiful, you'll feel like you've found your own slice of paradise as soon as you step foot on the sparkling, sugary white sands. 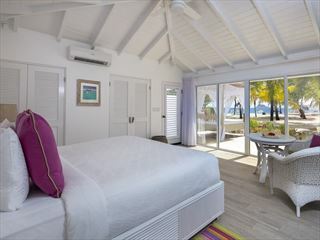 The cottages here adopt a laidback island style, including wooden plantation shutters, colourful tropical decor, and beach-style furnishings. 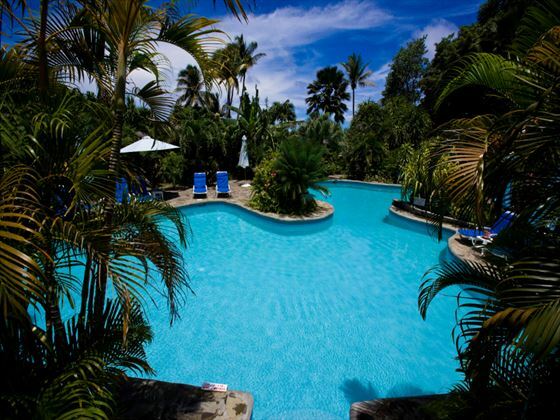 Whether you choose one of the charming Superior Cottages right by the shoreline, or a gorgeous Luxury Suite with its own plunge pool and expansive terrace, you'll be immersed in the relaxed barefoot lifestyle. 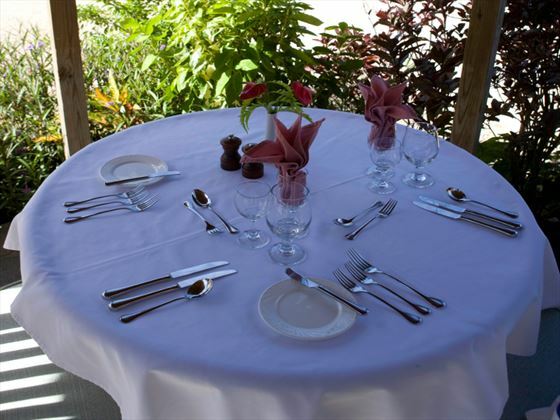 Depending on the day, you'll be treated to a fabulous buffet or an elegant a la carte menu. Either way, the food here is fresh and delicious, inspired by the exotic location and introducing you to authentic Caribbean flavours. 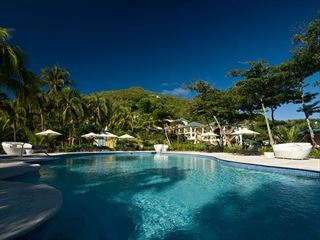 There's plenty of excitement during the day too, including snorkelling in the crystal-clear lagoon, playing a round of tennis, or simply dipping into the pool. 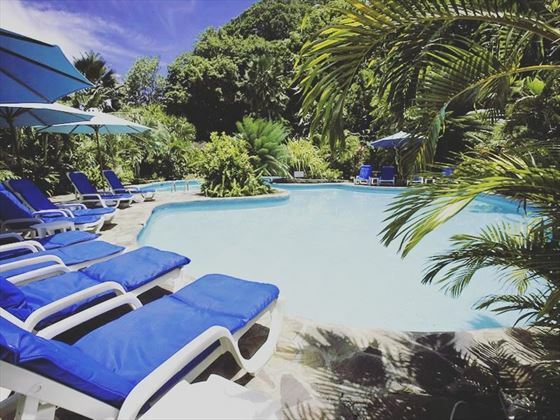 Located just five minutes by boat from the mainland of St Vincent, this beautiful island feels remote and private but is accessed easily and conveniently. 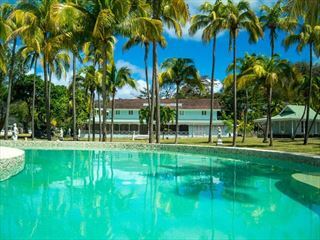 You will have the best of both worlds - total privacy on your own private island, but also with St Vincent on your doorstep with plenty of things to do and see and a wealth of local restaurants to sample. 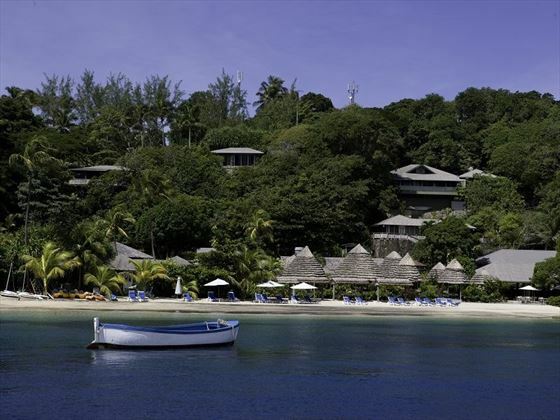 The hotel is approximately a 20-minute journey from Argyle International Airport, including a five-minute boat ride. Superior Cottages - Located nearest the shoreline, these gorgeous cottages offer the standard amenities. Deluxe Suites - Vibrant and inviting suites, featuring a sitting area in the bedroom, and an expansive patio. Luxury Suites - Spacious suites boasting a separate lounge, and a large private terrace. Some of these suites have a private plunge pool. 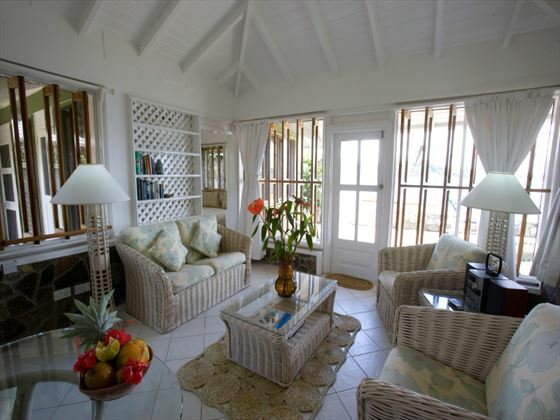 Duvernette Suites - Bright, airy and located on the hillside, this two-bedroom cottage boasts a separate living and dining area, air-conditioning, and amazing views of the ocean. The cottage also features a large secluded yard with a furnished deck, a hammock, and a small infinity-edge pool. The main restaurant serves an international mix of cuisine and alternates between a la carte and buffet depending on the theme of the night. There is a main bar by the restaurant and a wonderful beach bar built on stilts in the sea. Christmas Special - complimentary drinks on both Christmas day and New Year’s day. Informal dress is the norm, however after 6pm swim suits and beach attire should not be worn at the bar. For dinner a collared shirt and casual slacks or smart shorts are acceptable for men and elegantly casual attire for women. The sailaway includes the islands of Bequia and Mustique, and anchor for the night with optional sightseeing and snorkelling at each stop. The crew consists of a captain and cook, who prepares meals on board. Please note that clients arriving from 1st July 2018 onwards will be required to pay a local tax of US$3 per room per night. This tax is to be paid locally to the hotel.